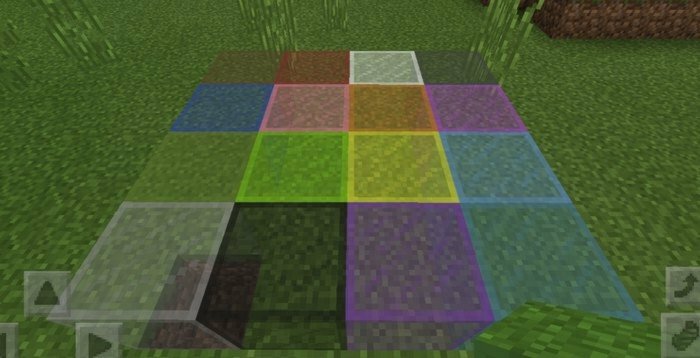 This mod adds 16 versions of colored glass into Minecraft PE - it's also called stained glass. You can craft them just like in the PC version of the game and it's really useful in decorating structures. I builded a simple house ingame and decorate it by stained glass and it become much more elegant. 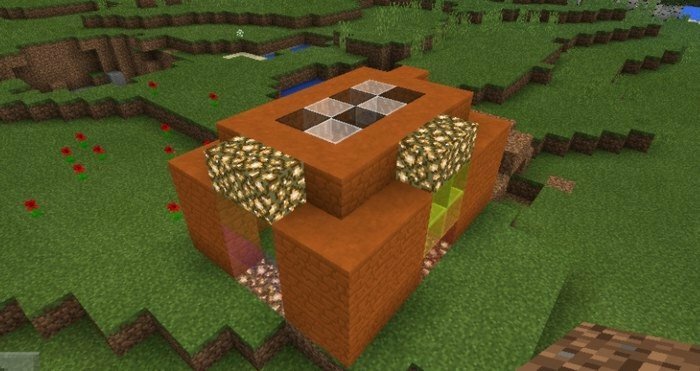 The only one disappointment of this mod is missing of glass panes.